The partnership is intended to increase the scale and effectiveness of impact investing and to sustain the GIIN’s leadership as a steward of the emerging impact investing market. Omidyar Network, The Rockefeller Foundation, and the United States Agency for International Development (USAID) have initiated a partnership to promote impact investing by supporting research, outreach, and other field-building activities undertaken by the Global Impact Investing Network (GIIN). Together the partners have committed US$ 6.5 million to support the GIIN’s work to increase the accessibility of impact investing. Impact investments are investments made into companies, organizations, and funds with the intention to generate positive measurable social and environmental impact alongside a financial return. The impact investing industry has the potential to steer significant capital to market-based solutions in sustainable agriculture, affordable housing, affordable and accessible healthcare, clean technology, financial services for the poor, and other sectors addressing the world’s most pressing problems. Impact investments can be made in both emerging and developed markets, and target a range of returns from below market to market rate, depending upon the circumstances. The partnership is intended to increase the scale and effectiveness of impact investing and to sustain the GIIN’s leadership as a steward of the emerging impact investing market. The funding will be distributed to the GIIN over three years and will be used to build critical infrastructure and support activities, education, and research that help attract more investment capital in poverty alleviation and environmental solutions. Support from Omidyar Network totals US$ 2.5 million. 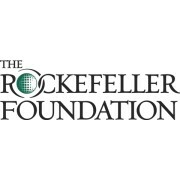 The Rockefeller Foundation and USAID have each granted US$ 2 million. USAID’s funding will support impact investing in emerging markets. Funding from Omidyar Network and The Rockefeller Foundation will support projects worldwide. 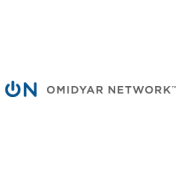 Omidyar Network is a philanthropic investment firm dedicated to harnessing the power of markets to create opportunity for people to improve their lives. Established in 2004 by eBay founder Pierre Omidyar and his wife Pam, the organization invests in and helps scale innovative organizations to catalyze economic and social change. Omidyar Network has committed more than $1 billion to for-profit companies and nonprofit organizations that foster economic advancement and encourage individual participation across multiple initiatives, including Education, Emerging Tech, Financial Inclusion, Governance & Citizen Engagement, and Property Rights. Omidyar Network invests in entrepreneurswho share their commitment to advancing social good at the pace and scale the world needs today. They are focused on six key areas they believe are building blocks for prosperous, stable, and open societies: Digital Identity, Education, Emerging Tech, Financial Inclusion, Governance & Citizen Engagement, and Property Rights. They take calculated risks in the earliest stages of innovation, helping to transform promising ideas into successful ventures. As an active impact investor, they offer more than just financial support. They provide vital human capital capabilities, from serving on boards to consulting on strategy, coaching executives to recruiting new talent. They connect promising investees to entrepreneurial visionaries with business know-how. They also leverage the tremendous capacity of Web and mobile technologies to go beyond incremental improvement and make a significant, widespread impact. Understanding the scale and importance of this work, they don’t undertake the challenge alone. The most powerful force for change lies in their connection with others: business, government, nonprofits, and individual partners. Together, they can use their resources to transform scarcity into abundance and put enduring opportunity within reach of more people worldwide.